For many low wealth wage-earners, bridging the gap between paychecks and the cost of living is a challenge often met by increasing consumer debt, typically through credit cards and sometimes through alternative lenders. 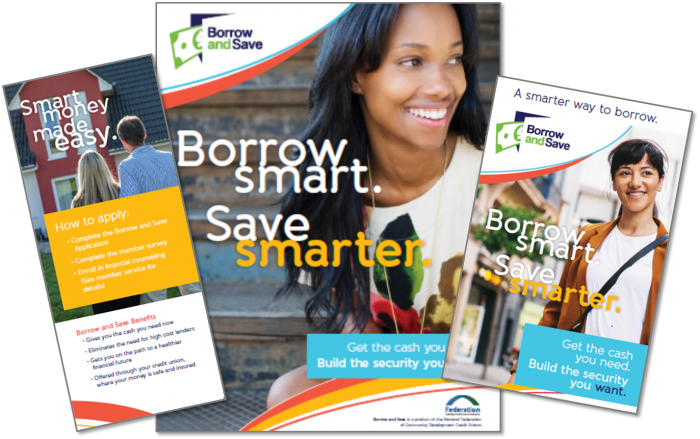 Inclusiv’s Borrow and Save program is designed to help borrowers break the cycle of borrowing from high-cost alternative lenders and move towards healthier savings habits. Consumers borrow between $300 and $3,000 with 10 to 50 percent of the loan balance placed in restricted savings for the term of the loan. When the loan is repaid, borrowers have savings - and improved credit! Credit unions that offer Borrow and Save have found that it is a low investment, revenue generating, productive entry point for borrowers who might not be eligible for other credit products. 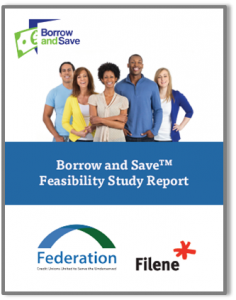 Read the Borrow & Save Feasibility Study. To access the Borrow and Save Implementation Guide or Print Ready Marketing Materials contact varahan@inclusiv.org.